Honda CEO Takanobu Ito has been at the helm of the Japanese automaker for the last six years, through some very tough times for them and the global economy. But due to lapses in quality standards, that time is coming to an end. Ito announced today that he would be stepping down in June, to be replaced by Takahiro Hachigo, an r&d executive who has been working on a number of Ito's reforms around the world. 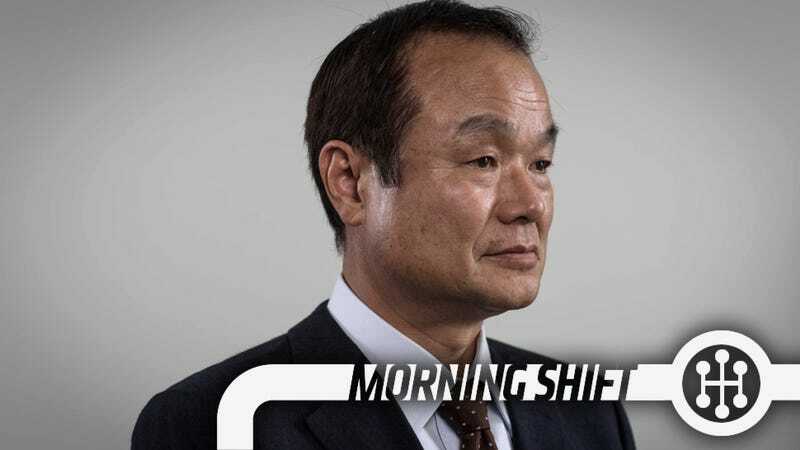 The move comes as a surprise to many, as Ito may have had setbacks with the embarrassing Takata recall as well as delays on key products, but he had just put a number of reforms in place to fix the company's issues. It was expected that Ito would stay at Honda at least until his reforms started to change the culture, but it seems that he felt the change was needed sooner than later. Hachigo has agreed to continue with Ito's reforms and changes. Along with his own change, Ito has shuffled management at Honda with a new r&d chief, new head in North America, and a new head of automobiles. The US is fining Takata daily for failing to cooperate on an investigation of faulty airbags. How much are they being fined? $14,000. Every day. That's more than I make in a week. In addition, it has been revealed that there has barely been a dent made in fixing the nearly 17 million cars that have been recalled due to airbag inflators that could explode and fire shrapnel into the car's occupants. NHTSA says that nearly 90 percent of the cars recalled have not been fixed. NHTSA says that Takata dropped about 2.4 million pages of documents on them without any organization whatsoever. Takata disagrees with NHTSA and says that they have been meeting with engineers regularly to find the cause and a fix. Good luck with that fine! We've been cooing about how great things are in Detroit lately. Profits are up, cars are better than ever, and everyone is happy. But things are even better at Toyota. According to The Detroit News, Toyota makes an average of $2,700 on each car they sell. Ford makes $994, Fiat-Chrysler makes $850, and GM makes $654. Some in Detroit believe that the huge difference has to do with currency manipulation, as the weaker yen makes exports from Japan cheaper in the US and lines the pockets of Toyota and other Japanese automakers. But the Big Three still pay more for labor (even though GM is paying $11 billion less than 10 years ago) than their competitors overseas, which is definitely a part of it. While they're making more money per car than ever before, it's going to be hard to find an extra $2,000 per car. Jaguar Land Rover is recalled 62,000 Range Rovers and Range Rover Sports for an airbag issue. No, they aren't shooting shrapnel into people, but apparently the passenger airbag may not activate if a "lightweight adult" is in the passenger seat. There have been no injuries or issues, but some owners have noticed that the airbag light stays off when a light person is in that seat. 5th Gear: Jeepers A Mercedes Recall Too? Mercedes is recalling 147,000 E-Class sedans and wagons along with CLS-class sedans due to the risk of fiery death. Seriously, there might be engine fires. There's a rubber seal that can fall on the exhaust and make things all hot and bothered in there. This is similar to a recall for 149,000 of the same cars in Europe and China last year. On this day in 1958, five-time Formula One champion Juan Manuel Fangio of Argentina is kidnapped in Cuba by a group of Fidel Castro's rebels. How can Detroit up its profits to match foreign automakers?